LotusLive is a suite of cloud based business networking and collaboration services hosted by Lotus Software, a division of IBM. These services include social networking for businesses, online meetings, file sharing, instant messaging, data visualization and email. Apart from developing their own solutions IBM also teams up with partners to integrate their technologies into LotusLive. For example, IBM teamed up with Skype for voice-over-IP services. Today IBM announced two new integrations with third party providers: Tungle (for online scheduling and calendar services) and Bricsys (for cloud based document, data, task and report sharing). Most of us know Bricsys as the developer of Bricscad, an AutoCAD clone. But they also have quite a formidable online project management system called Vondle. 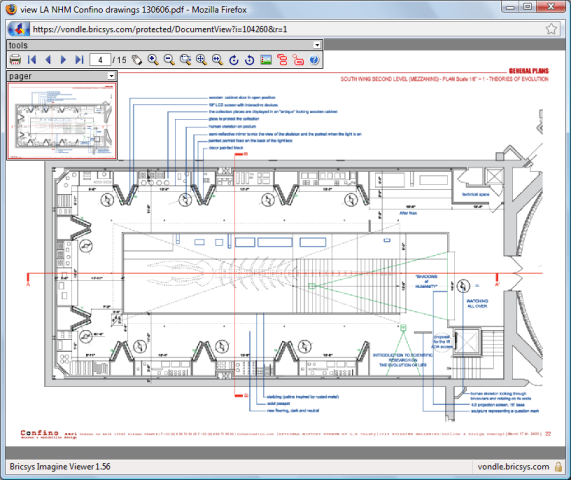 One of the wonders of Vondle is its ability to view and annotate more than 70 file formats, including a number of CAD formats, without the need for any additional software to be installed. Bricsys CEO Erik de Keyser tells me that his company has been working closely with IBM for quite a while to integrate their Vondle technology into LotusLive as a third party app. The integration of the Vondle Viewer that is being announced today is only the first step. They intend to integrate all the features of Vondle into LotusLive over time. Bricsys has packaged Vondle as an app called VondleLive that sits inside LotusLive. To see a demo of how this works click here. VondleLive is priced at $4 per user per month.